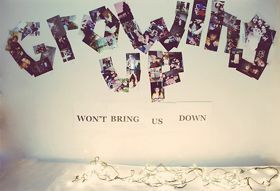 Growing up is a process in which some people started to think and act with maturity. Life is like a book. With every page that turns, something new happens. And each chapter gives you more perspective of what's to come. I didn't change, I only grew up.... You should try it sometime. It takes courage to grow up and become who you really are.. I have come to find that as I'm getting older, I don't need lot of friends. I'm happy with the few good ones that I have. 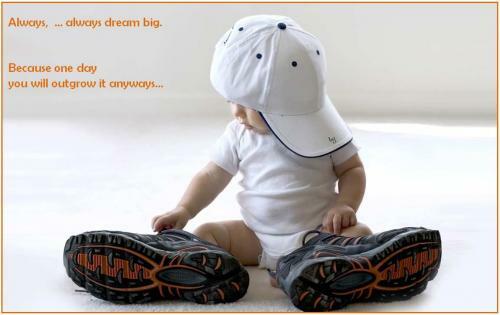 Always, ... always dream big. Because one day you will outgrow it anyways. The struggle of maturity is to recover the seriousness of a child at play. Growing up actually pertains to emotional, physical and psychological growth. All of us are born as babies and then grow into children, then teenagers and finally adults. Each phase brings about a lot of changes in our psyche and physical appearance. Mental outlook changes and we tend to become more mature. Becoming mature with increasing age suggests the process of “coming off age” of a person. During the growing up phase, care should be taken by parents that their wards don’t go wayward and follow the wrong ideas and beliefs.